New England Patriots owner Robert Kraft walks on the field before the AFC Championship NFL football game in Kansas City, Missouri, Jan. 20, 2019. 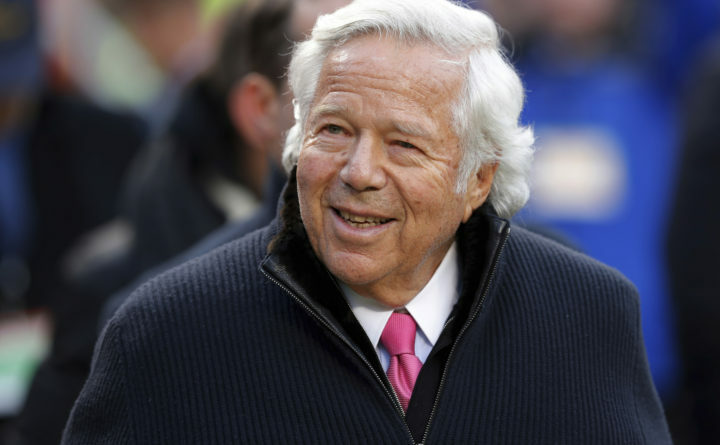 FORT LAUDERDALE, Florida — The attorneys representing New England Patriots owner Robert Kraft and other men charged in a Florida massage parlor prostitution investigation are asking a judge to block the release of video recordings police say shows them engaging in sexual acts. Kraft’s attorneys and the Patriots have declined comment. The Palm Beach County State Attorney’s Office declined comment on the video. The Associated Press is part of a media coalition trying to get evidence in the case released. Scott Skier, who is representing an Orchids of Asia client, said Palm Beach prosecutors may be treating Kraft and the other 24 defendants equally, but not compared to those accused of solicitation in cases that didn’t make national news. “These cases are being handled atypical of my experience over the last 16 years,” Skier said.